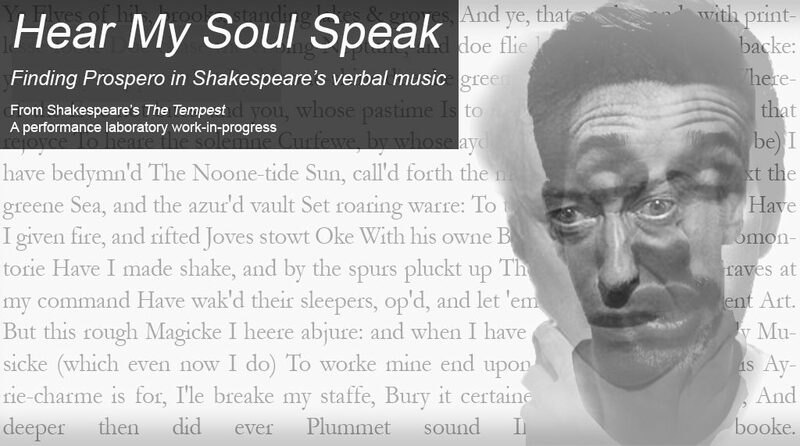 This work-in-progress performance investigates the portrait of the mind and persona of Shakespeare’s Prospero, created the sound patterning in the language of the play, to expose the sound-world Shakespeare creates through words. The performance draws exclusively on text from The Tempest and incorporates the little-known original music for the play written by Shakespeare’s colleague, the composer Robert Johnson. Background: In no other play of Shakespeare, is the action, and even the disposition of the other characters so utterly the construction of the central protagonist. Shakespeare uses the device of a ‘stage magician’ – a Faustian necromancer, to explore a single character through all the stage action of the drama. It’s not too fanciful to suggest that the entire enchanted island is a landscape of Prospero’s mind.